I originally made these cupcakes quite a while ago and I never posted about it at the time, so I thought I'd better redress that now. 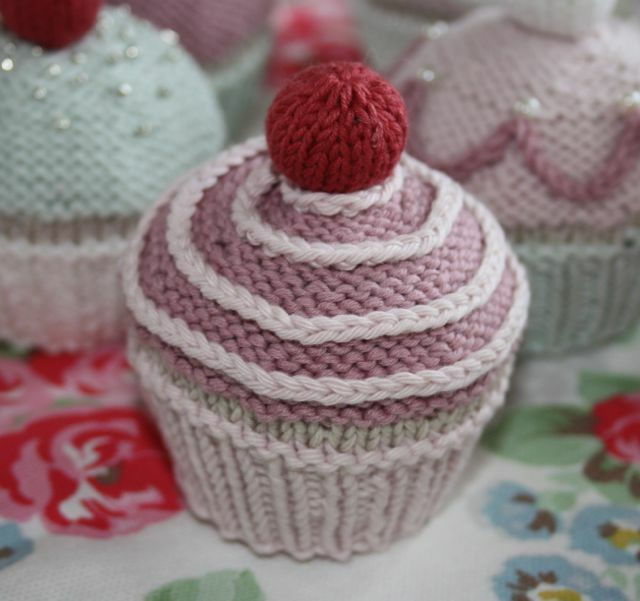 Some time after I made my Yummy Scrummy Cupcakes, I had a hankering to make a set of cakes in a 4ply cotton. I'd been using Rowan Milk Cotton for a few little projects and had found it beautiful to work with and been very pleased with the results, so I took myself on a trip to my local John Lewis and spend a happy half hour perusing all the available colours and deciding on the best cakey combinations. Ahhh, such bliss! Now I had my lovely yarn, I made a start. I didn't want to use the Yummy Scrummy pattern because I was using a smaller yarn size and I still wanted the cupcakes to be the correct kind of 'cupcakey' size. Also, although I do love my Yummy Scrummy Cupcakes, they do have a very full top and I wanted I little more of the authentic baked look for this batch. So, I set about experimenting with different sizes and stitches until I had a new pattern that I was happy with. I also wanted to do something more with the decorations on top of the cake. 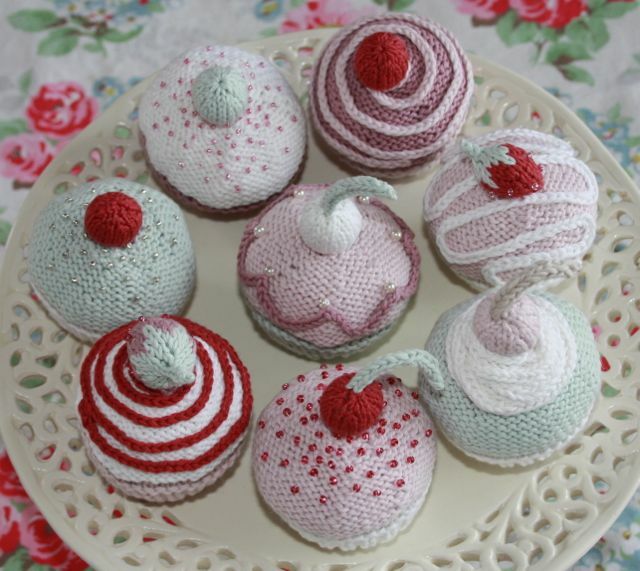 For the Yummy Scrummy cakes I added a flower, which is wonderful but I wanted so much more for these little beauties. I wanted to be able to add cherries (of course!) 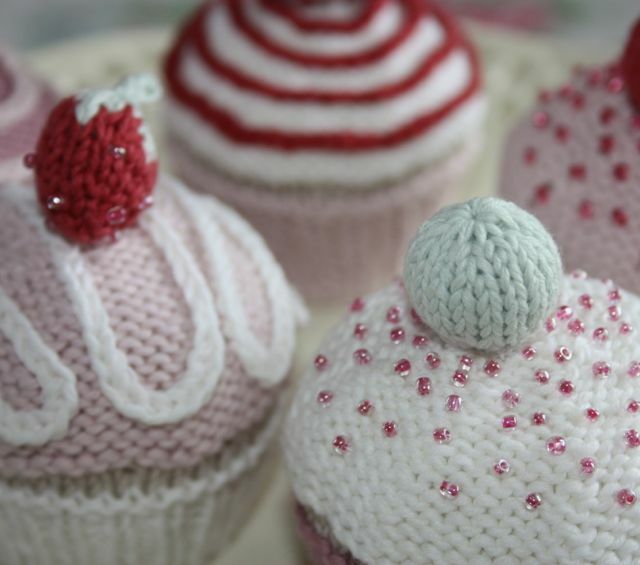 and use some of my beads, to give these cakes a more decadent, sumptuous and scrumptious look. So I started to play with different types of icing and garnish for my cakes. It was such fun experimenting with different toppings. Umm, they truly were starting to look go enough to eat! And of course, I'm particularly fond of the cherries on top, especially the stalks and the way they curl over. Little things eh? I spent quite a ridiculously long time on this project, considering they are such little things, but I wanted them to look just right and I wanted every element to be of my own creation, so that it could all be included in the pattern. Because, yes, there is a pattern! That way, hopefully everyone else (who enjoys such frivolity as I do), could re-create them too. 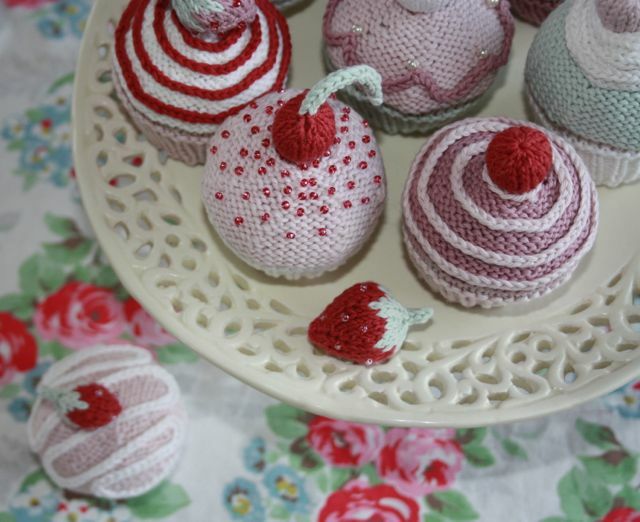 I'm asking a small charge for this pattern as I spent such time and love putting all this cakey goodness together and I felt that was worth a little something. I hope you do too, but you could always try some Yummy Scrummy Cupcakes if you're not convinced, as they are free as a bird! They are so yummy, I love the pretty colours. Dear Sandra, what a lovely blog you have! I am now a follower! Love how you have made the background. They look beautiful. I love your designs! Wow, those are adorable! I love them. I can't decide which one I like best! Love your patterns they are so cuite, i'm going to do some. I would like a copy of this pattern can you tell me how i arrange to get a copy. 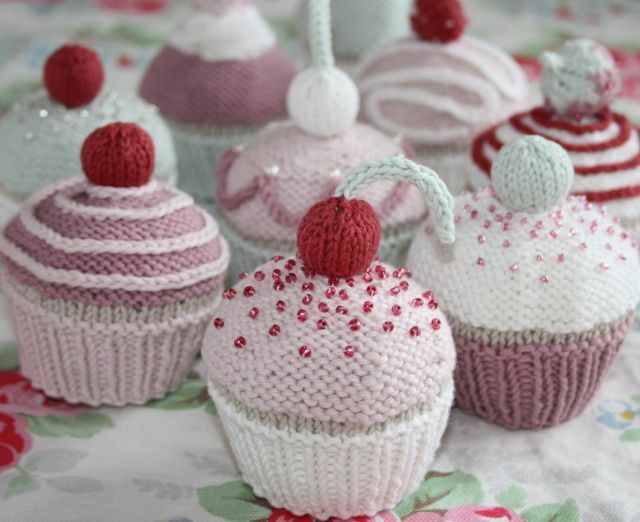 Also with the Yummy Scrummy cupcakes, do you have a pattern for the flowers on the top please?